Castello della Dragonara is a small seaside fortress. A short hike will take you to the top of the fortress where you will be greeted by panoramic views of the navy blue sea. The tranquility of the water washes over you and makes you feel peaceful. The sight of the beautiful village Camogli from the fortress is simply breathtaking and captures your heart in no time. At the fortress you will come across two antique cannons that were probably used during old times. Visit this fortress to feast your eyes off the scenic nature while vacationing in Italy. 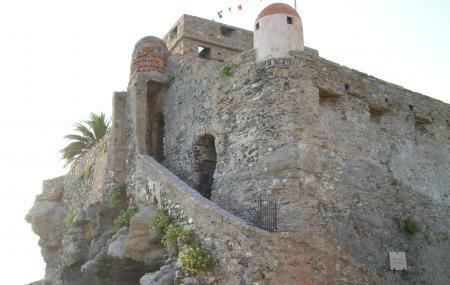 Use Camogli trip planner to visit Castle Of Dragonara and many others to your visit. Hotels like Hotel La Vela-castello Il Rifugio, Hotel Vesuvio, Hotel Jolanda and Hotel Sant'andrea will solve your problem of where to stay in Camogli. Generate executable plans on your own or book the top rated Camogli vacation packages for your visit. Read more on how to reach Camogli. Love this? Explore the entire list of places to visit in Camogli before you plan your trip. Fancy a good night's sleep after a tiring day? Check out where to stay in Camogli and book an accommodation of your choice. How popular is Castle Of Dragonara? People normally club together Christ Of The Abyss and Il Faro while planning their visit to Castle Of Dragonara. It was closed to the public being Saturday, but it's a monument that dominates this gorgeous sanctuary. Very beautiful sea. I read feedbacks before visit, but i eas surprised in any case. Small, very attractive with own atmosphere. Difficult to park a car, but very good for walks. Bonus: a lot (really a lot) of beautiful girls on the beach. Beautiful views of the sea and town. Amazing castle - soooo beautiful and full of interesting details to explore!